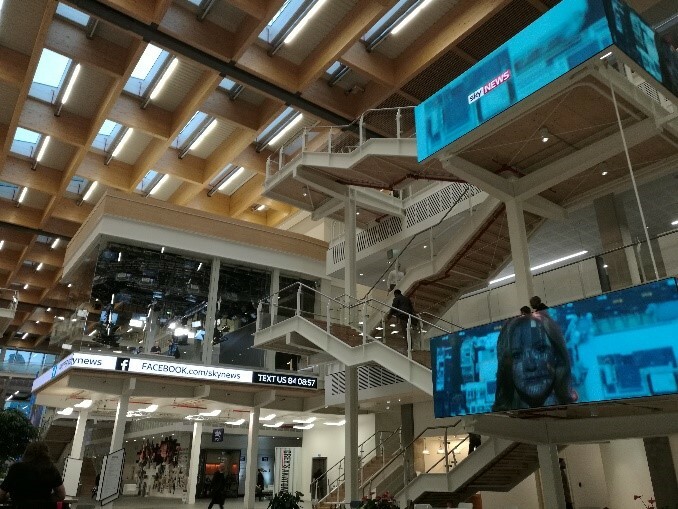 When broadcaster and telecommunication company, Sky consolidated a number of separate offices into a purpose built 3500 capacity HQ in West London, one of their priorities was to ensure powerful internal branding and deliver a “wow” factor to their guests. 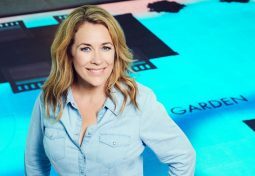 To help meet that goal, Sky drafted in long-term AV integration partner, Anna Valley, to help design AV systems for general and shared areas of the building. 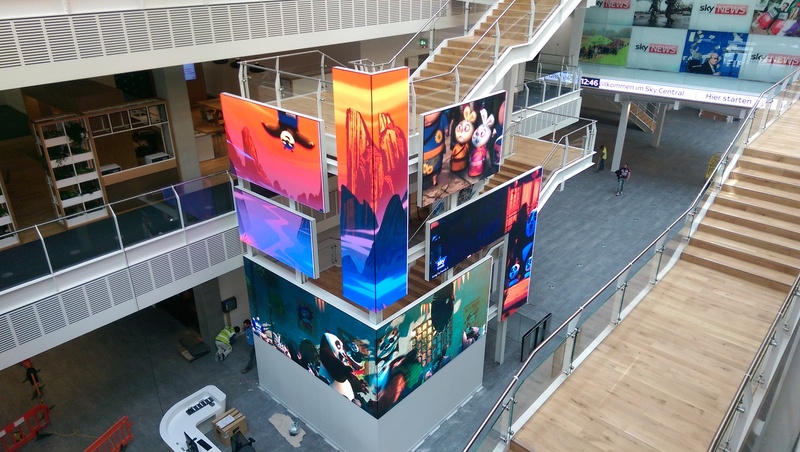 the reception – featuring a 10-meter-high, multilevel display made up of fragmented screens in different shapes and sizes wrapping around the open stairwell, and large LED screens (some displaced, some solid) that continue the theme throughout the open atrium areas. 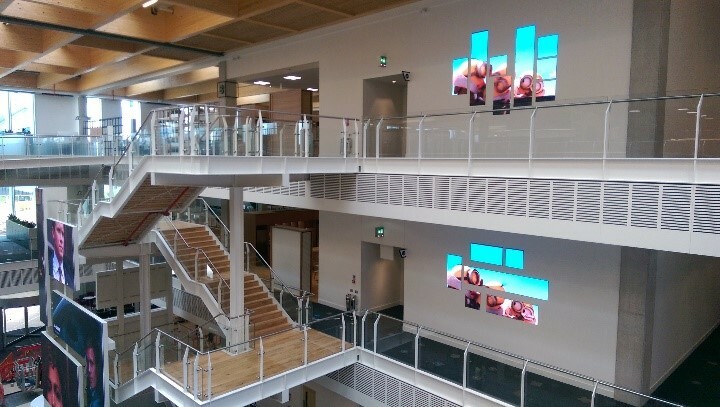 a “street” that runs through the centre of the building – pillar displays lead from the entrance to the foyer where a cinema-style LED screen is a focal point. a multifunctional event space – designed for flexibility with multiple room layouts allowing in-house AV teams to easily configure the space for meetings, events or office work. 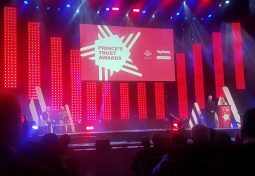 A 2.5mm LED wall at one end and 3 x motorized 3.5m Projection screens with laser projectors provide the display element with audio from a 9 x 5 grid of JBL Control pendant speakers on a DSP provide highly configurable zoned audio. departmental homezones – neighbourhood screens and touch-control interfaces provide the option to customise the content displayed in different business units. The finished project includes over 377 LED units. 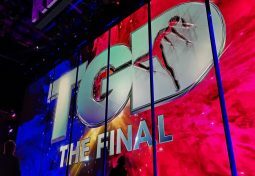 Sky originally proposed using projectors for the impressive reception display, but were convinced to use LED’s by Anna Valley because of high ambient light levels – even though it was unusual to create such large reception displays from LED panels at the time. Product consistency throughout the installation was important for control and maintenance, so the team collaborated with the LED manufacturer to customise panels to the exact measurements required for both the reception and studio displays. 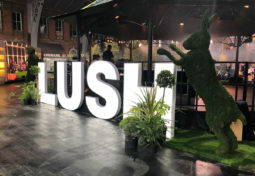 The completed project brings a variety of technologies together to provide a unique and versatile display solution that is both aesthetically impressive and technically robust. The entire installation integrates into one easy-to-use system that operates 24/7 with minimal user intervention. One point of control and monitoring is provided by the centralised control system which also integrates with the building management systems to co-ordinate activities during events like fire alarm activations. 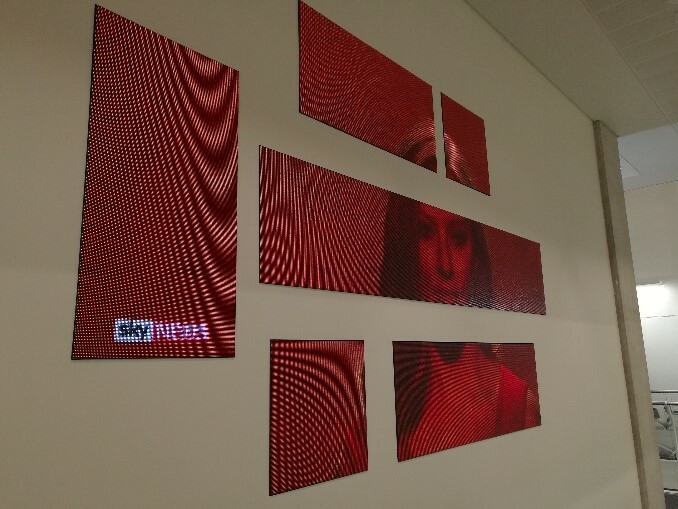 Because the design is modular and built on Sky’s internal network, extending or expanding on displays, adding more capacity, or upgrading to UHD can easily be achieved without major investment. 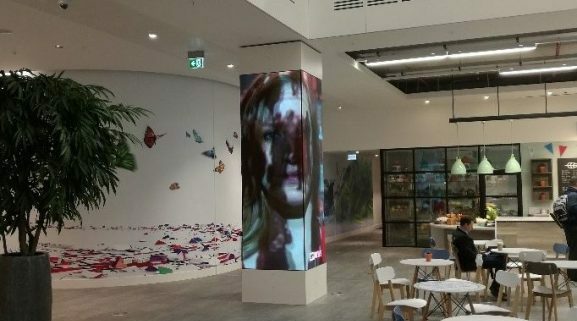 This installation was featured in InAVate magazine – click here for the full story and get in touch if you’d like to add the wow factor to your internal branding.